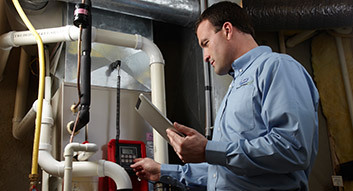 60 years of experience in heating and cooling. Our #1 priority is customer satisfaction, servicing in all weather. 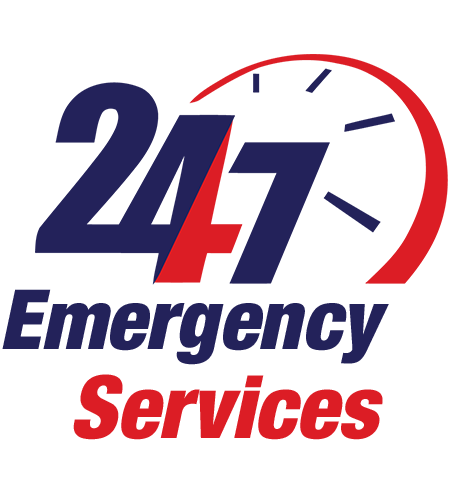 Built on Willis Carrier’s invention of modern air conditioning in 1902, Carrier is the world leader in heating, air-conditioning and refrigeration solutions. They constantly build upon their history of proven innovation with new products and services that improve global comfort and efficiency. Carrier is part of UTC Climate, Controls & Security, a unit of United Technologies Corp., a leading provider to the aerospace and building systems industries worldwide. Founded in La Crosse, Wisconsin in 1885, and finally incorporated in 1913, Trane has over 120 years of experience in the business and is a world leader in air conditioning systems, services and solutions. Every Trane product is designed down to every detail and rigorously tested for reliability and durability. From the durable Climatuff® compressor to the exclusive Spine Fin™ coil to the revolutionary Hyperion™ air handler, you are getting more than a reliable comfort year after year. Regency has been making fireplaces for over 30 years and their philosophy has always been simple: make it right. Their Contemporary Fireplace line is the perfect complement to today’s decorating trends for clean and modern living spaces. 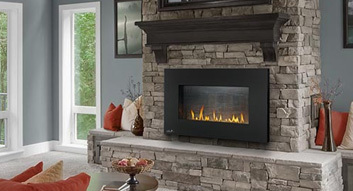 Timeless design and enduring quality are the hallmarks of the Regency Traditional Direct Vent Gas Fireplace line. Regency engineers have created a variety of fireplaces with fine finishing, realistic full fires and a multitude of customizing options.